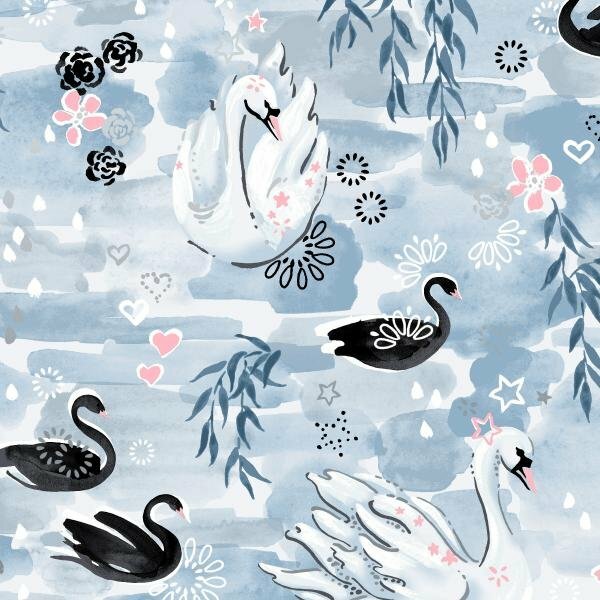 Pink and black swans on light bluish gray background with silver frost metallic accents. 100% cotton. 44 in. wide.